Peeing multiple times a day is such a routine part of our lives that most of us never think much about it. Urination is actually a vital function of our body. It plays a major role in maintaining proper hydration, helps to regulate pH, and gets rid of waste substances. A variation in the usual color of urine (or pee) requires attention because it may indicate a health problem. Urine is normally pale yellow or straw-yellow in color. It may have a variety of other colors, however, including dark yellow, orange, pink, red, green, blue, brown, and even black. These rainbow hues may be caused by dehydration, ingested foods and drinks, supplements, medications, injuries, and illnesses. If your urine has an unusual color, there's a good chance that the change is caused by a harmless factor. Some detective work is necessary, however, to pinpoint the cause of the change. If there is no apparent cause or if the strange appearance continues, a doctor's advice should be sought. Urine is produced by the kidneys from blood plasma, stored in the urinary bladder, and then excreted out of the body when the bladder is full. It contains water, salts, and wastes produced by cell activity. Urochrome was the first name for the yellow pigment in urine. This chemical is now known as urobilin. A few sources consider urochrome and urobilin to be different molecules, however. 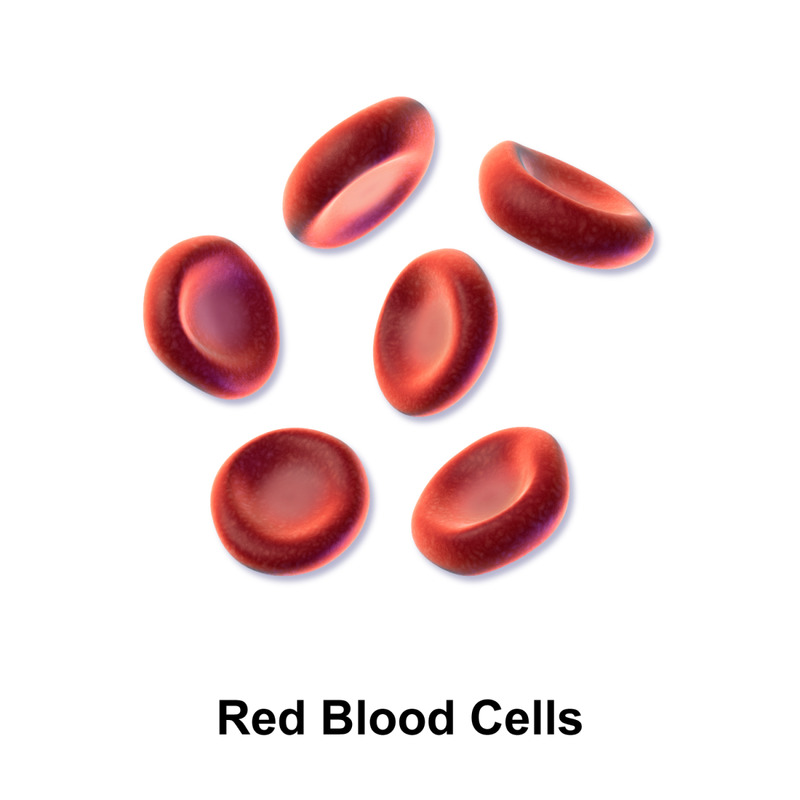 Urobilin is produced from the breakdown of hemoglobin, a pigment inside our red blood cells. Hemoglobin transports inhaled oxygen around the body and releases it to tissue cells. The hemoglobin is broken down when old red blood cells are destroyed, which happens regularly. The cells live for only about 120 days. Dehydration causes less water to enter the urine. The pee appears dark yellow because the urobilin is concentrated. Urine is usually darkest when we get up in the morning, since we’ve spent the night without drinking. Dark yellow urine during the day suggests that we’re not drinking enough water. It may appear if we’ve been sweating heavily without replenishing our body’s water content. It's important to keep in mind the quote from the nephrologist below, however. A nephrologist is a doctor who specializes in kidney function. The website of Carleton University in Ottawa, Canada, provides a urine color chart to check for hydration, although based on what the doctor quoted above says it may have limited value. (A link to the chart is given in the "References" section below.) The chart can be printed, but if you do this check that your printer produces colors that match the ones on the screen. The colors on the monitor screen may not be accurate, however. Another problem with analyzing urine appearance is that the lighting in different rooms can affect the color, as can the exposure of a photograph. The recent ingestion of foods, drinks, vitamins, medications, or dyes that color the urine is yet another reason why a chart may be inaccurate. There are many factors that can color urine, including foods, medications, and certain diseases. The information given below is for general interest only. A doctor should be consulted if urine has an unusual color with no obvious explanation. Vitamin B2, also called riboflavin, is yellow in color. If we eat more riboflavin than we need—which sometime happens when we take Vitamin B2 supplements—the excess riboflavin enters the urine and gives it a fluorescent yellow or neon yellow appearance. 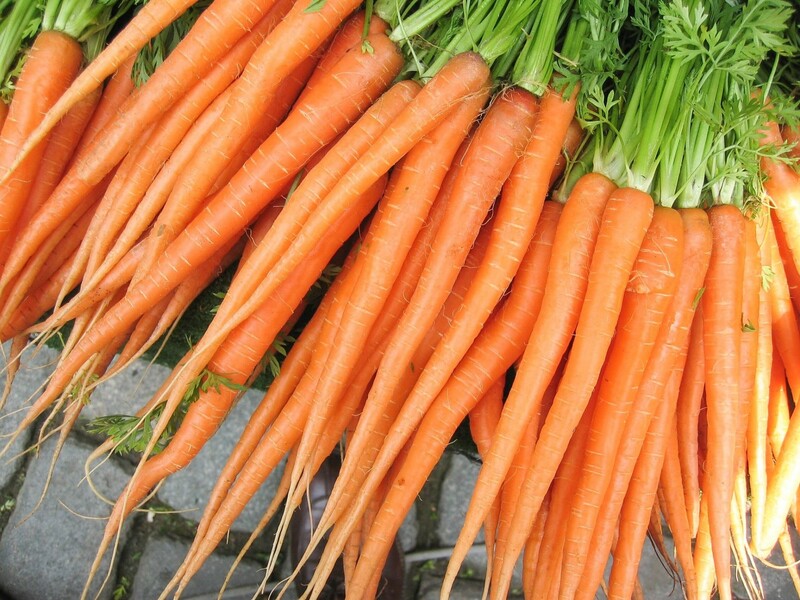 Eating a lot of carrots can turn urine yellow or orange and can also give the skin a yellow-orange color, a condition known as carotenemia. The pigment responsible for these changes is beta-carotene. Vitamin C can also color urine dark yellow or orange. Warfarin (brand name Coumadin) is an anticoagulant and is one medication that causes pee to appear orange. Rifampin, an antibiotic, has a similar effect. There are other drugs that can color urine besides the ones that I mention in this article. The product brochure of a drug, your pharmacist, or your doctor can tell you about a possible color change. It's always a good idea to read the brochure that accompanies a medicine so that you aren't surprised by side effects. Pink or occasionally red urine may be caused by eating beets, blackberries, or rhubarb. Pee can also turn pink after taking laxatives containing a substance called phenolphthalein. Phenolphthalein turns pink when it’s in alkaline urine. Some countries have banned phenolphthalein in laxatives, since at high doses the chemical has been found to cause cancer in lab animals. Red urine may develop due to unusual bleeding that is not part of menstruation. Urine may sometimes contain red blood cells or hemoglobin released from damaged red blood cells. It may also contain myoglobin. Myoglobin is a red pigment that stores oxygen in muscles. Damaged muscle cells may release myoglobin, turning pee red. Blood in the urine could indicate an injured kidney, urinary bladder, or urinary tract. Red urine is not necessarily caused by blood. Phenazopyridine (trade name Pyridium) is a medication that acts as an anesthetic in the urinary tract. It's prescribed for urinary tract infections and injuries and after medical tests or surgery on the tract. One of the medication's side effects is the production of an orange-red urine. Use of a senna laxative can sometimes produce red pee. The disease known as porphyria can also produce a reddish urine, as described below. In females, the openings from the gastrointestinal tract, urinary tract, and reproductive tract are close together, so sometimes medical tests are needed to discover where blood in the urine is coming from. 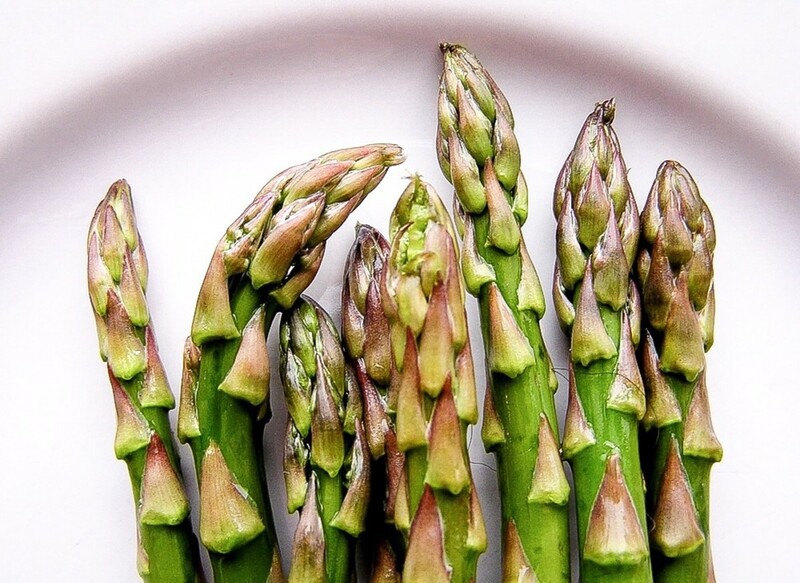 Eating a lot of asparagus can sometimes turn urine green and may also give the urine a distinct odor. An infection by a bacterium called Pseudomonas aeruginosa can cause pee to turn green or blue. Metabolic disorders can also produce blue urine. Indicanuria is a condition in which the body is unable to absorb the amino acid tryptophan from the intestine. Intestinal bacteria break the tryptophan down into chemicals that are excreted in the urine and cause it to appear blue. In babies, the disorder is sometimes called “blue diaper syndrome.” The condition is sometimes accompanied by familial hypercalcemia, a condition in which the blood calcium level is too high. 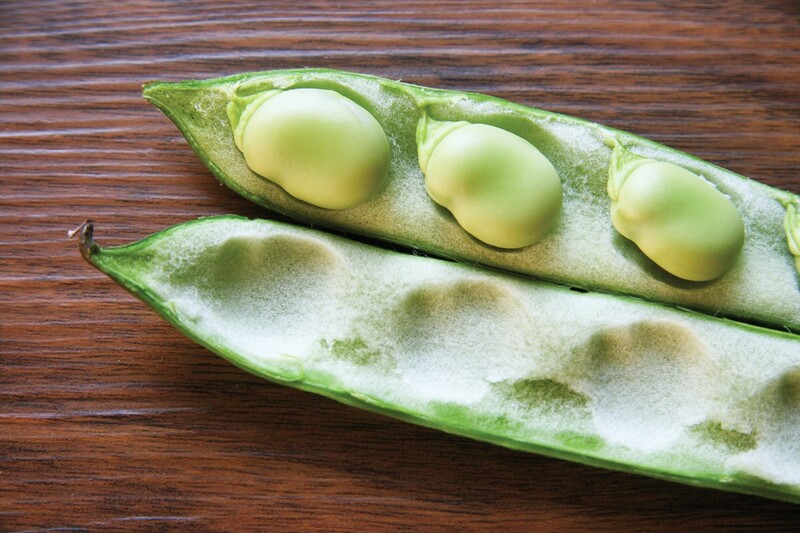 Eating lots of aloe or fava beans (also called broad beans) can result in brown urine. Taking a cascara laxative can produce the same effect. A senna laxative can cause a red, red-brown, or brown urine. Methyldopa (brand name Aldomet), a drug given to help high blood pressure, can cause urine to turn black when the liquid mixes with bleach in the toilet bowl. The antibiotic metronidazole darkens urine. Alkaptonuria (also spelled alcaptonuria) is an inherited condition in which urine becomes brown-black when it's exposed to air. In this disorder a person cannot completely break down two amino acids called phenylalanine and tyrosine. As a result, a substance called homogentisic acid collects in the body and is deposited in the urine. The urine appears black when the acid reacts with air. Liver diseases such as hepatitis and cirrhosis, kidney disease. and kidney stones can all produce dark brown urine. Dark urine is also a symptom of some types of cancer. The terms porphyrin and porphyria are derived from the Greek word porphyrus, meaning purple. People with porphyria may have red-brown or red-purple urine. The illness develops when someone lacks a specific enzyme involved in the production of heme, the red, iron-containing part of the hemoglobin molecule. 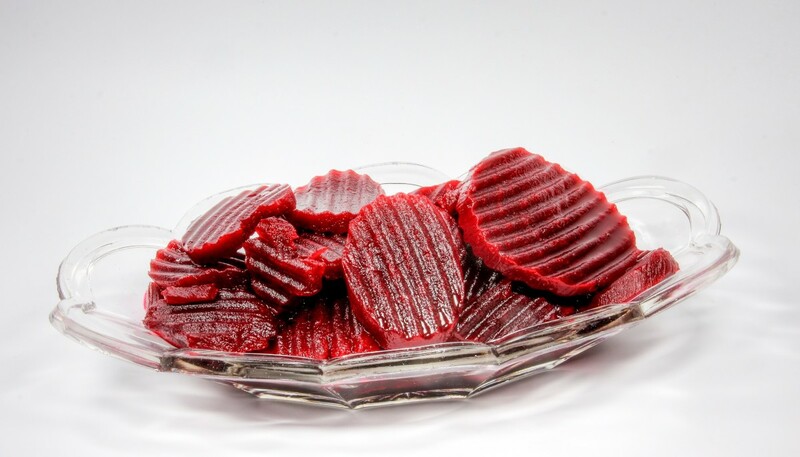 Heme belongs to the group of chemicals known as porphyrins, which are often intensely colored. Heme is produced in a series of steps involving molecules known as heme precursors. Each step is controlled by a specific enzyme and makes a new precursor molecule. The molecule is then converted to a different precursor in the next step. In people with porphyria, one of the enzymes involved in heme production is missing. This means that a specific precursor can’t be changed into the next one in the chain or into heme, the end product of the process. Precursor molecules build up in the body and may reach a toxic level. They collect in the skin, the organs, the feces, and the urine. The molecules are colorless, but when those in urine are exposed to light they are converted into colored porphyrins. 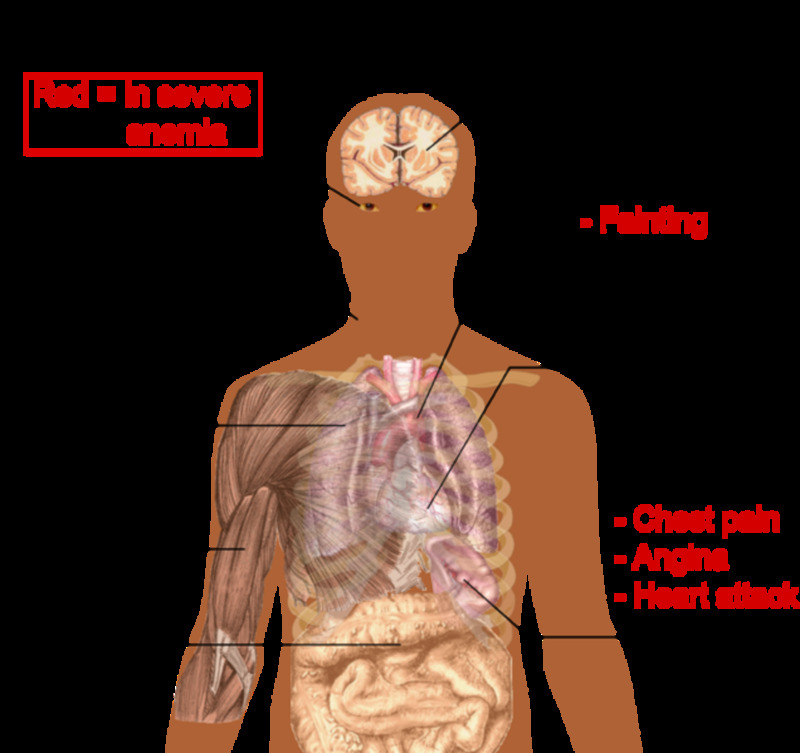 There are at least eight types of porphyria. Some types affect the skin, causing blisters, swelling, and itching when the skin is exposed to sunlight. 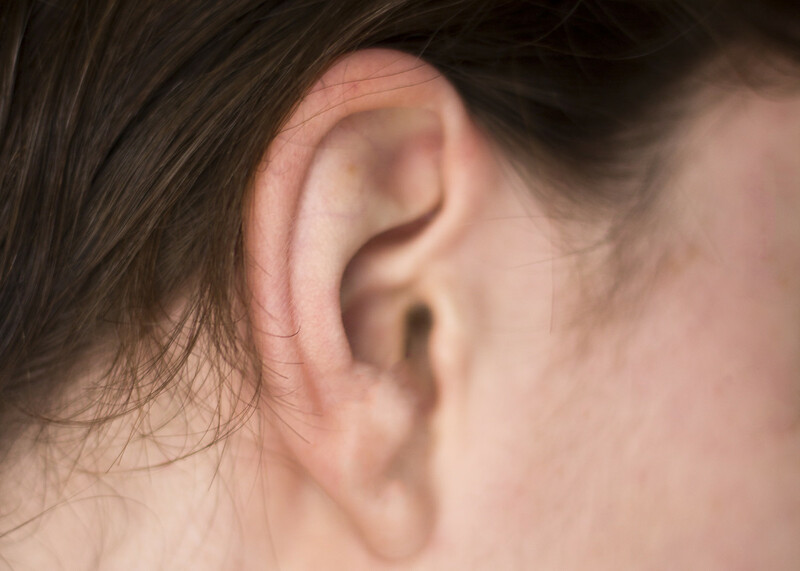 Other forms affect the internal organs, nervous system, and brain, causing symptoms such as pain, cramping, vomiting, numbness, paralysis, personality changes, and mental disorders. King George III of Britain, who was known as the “mad” king, exhibited periods of body pain, paralysis, and insanity. His doctors recorded the fact that he had dark red or red-purple urine on several occasions. Today’s researchers believe that King George probably suffered from a form of porphyria. Porphyria is caused by a genetic problem. Sometimes the disorder is inactive and only becomes active when a person is exposed to a stress of some kind. Doctors today have several ways to treat the disorder. The most common cause of cloudy urine is the presence of phosphate crystals. 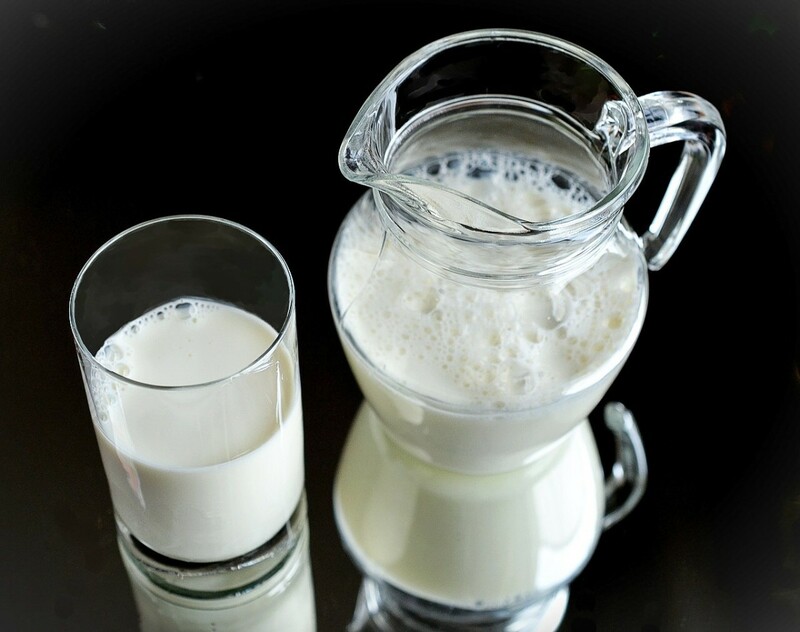 These crystals may appear after eating or drinking high-phosphate foods, such as milk. They disappear if a small quantity of vinegar is added to the urine. Cloudy urine may sometimes be a sign of a urinary tract infection, which causes white blood cells to collect in the urine. 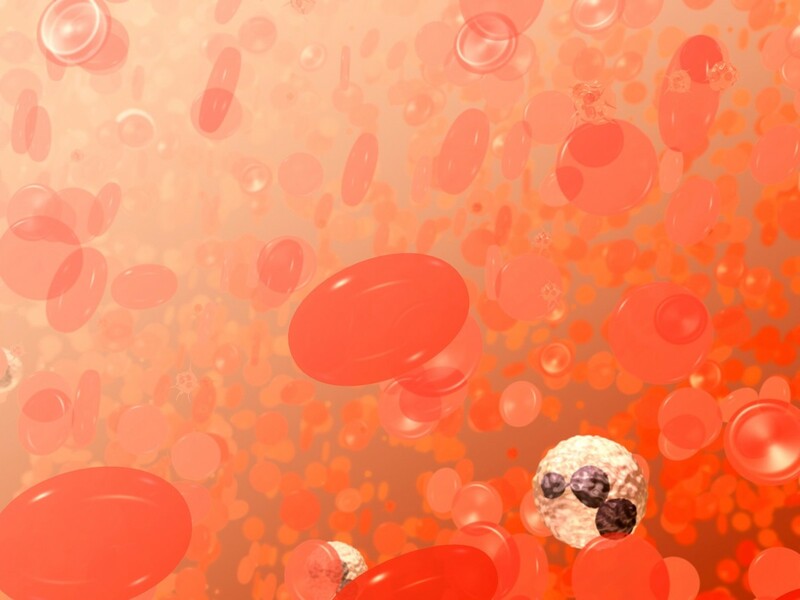 White blood cells fight invading bacteria and viruses. The urinary tract infection may be accompanied by other symptoms, such as a frequent need to urinate and a burning sensation during urination. A disorder called proteinuria can also produce cloudy urine. In this condition protein builds up in pee. Proteinuria is sometimes temporary and disappears without treatment, but it may indicate kidney damage. It can also be a symptom of certain diseases, such as diabetes and hypertension (high blood pressure). Proteinuria may develop in pregnant women who are suffering from preeclampsia. This is a condition in which a woman develops high blood pressure and a high protein level in her urine during pregnancy. Diabetes insipidus is a condition caused by a problem involving antidiuretic hormone or ADH. It's not the same condition as diabetes mellitus, which is caused by a problem involving insulin. Urine that looks like pure water, with no yellow color, may indicate that a person is well hydrated or even over–hydrated. Drinking too much water can be dangerous, since it dilutes essential electrolytes inside the body. Large amounts of colorless urine may be a symptom of diabetes insipidus, which is not the same condition as diabetes mellitus. In diabetes mellitus (which is commonly broken down into type 1, type 2, and gestational diabetes), a person doesn’t make enough insulin or their cells don’t respond to insulin properly. Insulin is a hormone made by the pancreas that increases the permeability of cell membranes to glucose, the sugar that travels in blood. The hormone allows glucose to leave the blood and enter the cells, where it's used as an energy source. 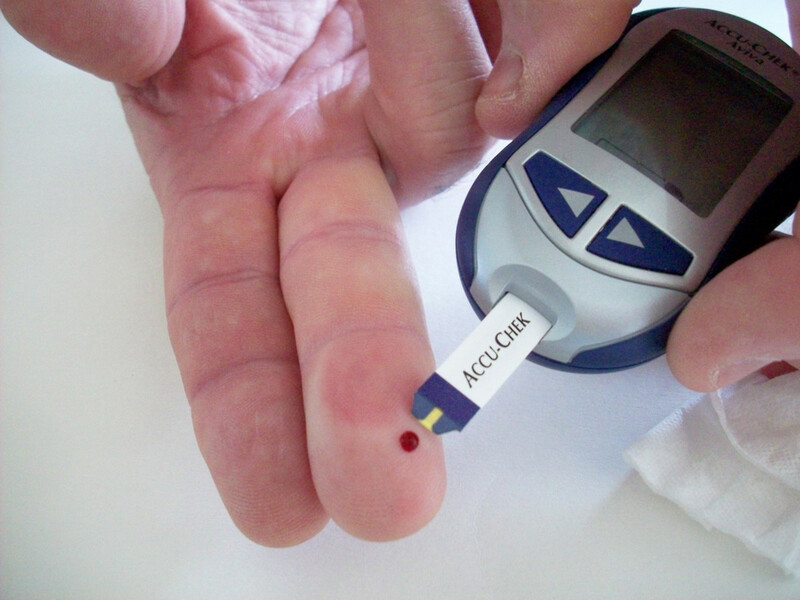 Diabetes mellitus is sometimes called sugar diabetes, since glucose collects in the blood of an untreated diabetic. In diabetes insipidus, the body doesn’t produce enough antidiuretic hormone (also known as ADH and vasopressin), or the kidneys don't respond to the hormone properly. ADH is made by the hypothalamus in the brain and stored in the posterior pituitary gland until it's needed. The hormone stimulates the kidneys to send water back into the tissues and bloodstream so that it isn't excreted in the urine. Without ADH, too much urine is produced and the person is constantly thirsty. Diabetes insipidus is sometimes called water diabetes. Although diabetes insipidus and diabetes mellitus are unrelated diseases, they both have increased thirst and urination as symptoms. These symptoms should always be investigated by a doctor. Urine with an abnormal color may indicate a medical problem or may be the result of ingesting certain foods, drinks, medications, or multivitamins containing pigments or added dyes. Diagnostic dyes used in medical tests and medications can also color urine. As mentioned earlier, it's a good idea to check the information sheet that accompanies a prescribed medication or medical treatment so that you won’t be surprised by colored urine if this is one of the side effects. It's also important to make sure that the urine returns to its normal color after the medication is stopped in case the change wasn't caused by the medicine. A change in urine color may not be a problem. Unless the change in appearance can be related to diet or a medical treatment and quickly disappears once the food or treatment is stopped, however, a doctor should be consulted. What does foul smelling urine indicate? Urine may smell bad simply because we're dehydrated or because it's more concentrated when we wake up in the morning. Certain medications or foods—such as asparagus—can also make urine smell bad. The odor may be due to a health problem such as a urinary tract infection, however. A genetic problem can also produce the smell. If the bad odor doesn't disappear soon, a doctor's advice should be sought. Why is my urine a pale green tone after drinking decaf coffee? I have never heard of any type of coffee producing green urine. A green color can sometimes be caused by eating asparagus or by taking certain medications that produce a blue-green or greenish tint in urine. The color can also be a sign of a bacterial infection, however. For this reason, it's important that you visit your doctor and discuss the situation with them. The association of the color with drinking coffee may be a coincidence or may be due to a more important factor that your doctor can explain. Thanks for the visit and the comment, Mary. This is one bodily function I want to understand well. Thank you for all the information. Angel, I'm a science writer, not a doctor. It's important that you visit a doctor to discuss your problem. You need to see a physician in person to get a diagnosis and treatment. Doctors can't diagnose or treat a problem over the Internet. Hi, Frank. Since you have a question about your specific situation, your doctor is the best person to give you advice. He or she will be able to tell you whether your urine colour is a problem and suggest the best way to deal with it if this is necessary. My urine has been clear for a long time.It is almost white or crystal clear. Why is this? Hi, Diana. Thanks for the comment. I think it's important that your doctor knows about the colour of your urine because it's sounds like it's very dark (if he or she doesn't already know this). In addition, if the dark color doesn't disappear soon, I think that it would be a good idea to see the doctor. Thank you for this article. I've been trying to drink loads more water as I thought it was better the more I drank. Then had a day in hospital due to illness and the doc said my sodium was very low and to limit water to one litre a day. I was worried about this as my wee has been dark brown for the last two days (since illness). Having read your article and the quote from the nephrologist, I shall stop worrying! Thank you. I hope you get better soon, Ren. I had a cloudy urine and it turns out im infectedwith UTI. Thank you for the comment, Saul. Good luck with maintaining your health. 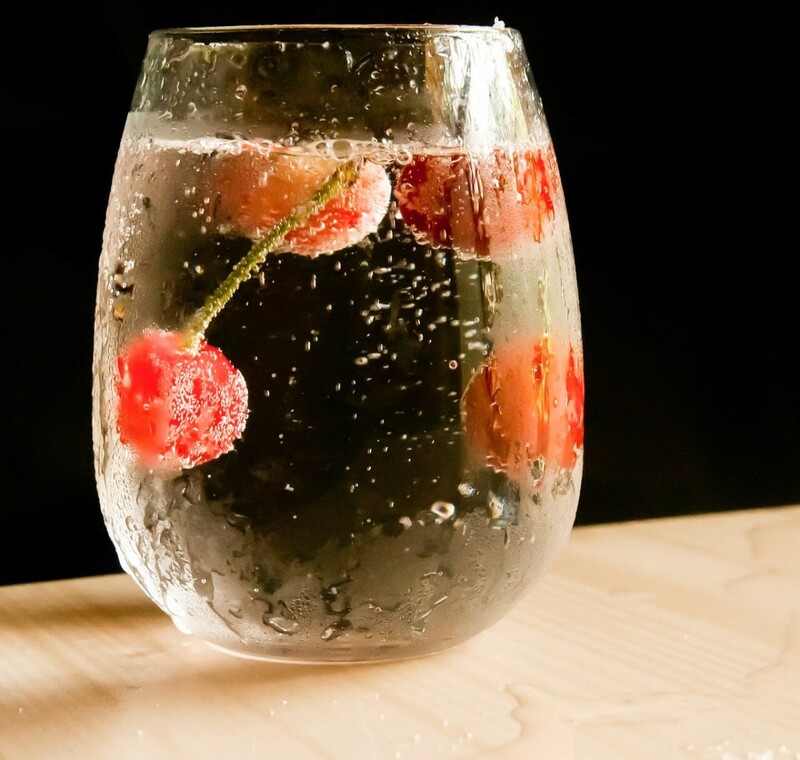 Drinking more water sounds like a good idea, especially if a nurse recommends it. Hi, Annie. I'm not a doctor, but I would say that if your urine stays dark you should definitely visit a physician. Some foods and medications can create brown urine, but the colour can also be due to a health problem. As far as I know, the only situation in which bleach can darken urine is the one that I describe in the "Brown or Black Urine" section of this article, but there may be others. I expect you know this, but do be careful with bleach. It can mix with other chemicals added to toilet bowl water to create dangerous vapours! By the way, there was nothing wrong with your post. Comments that people make don't stay on the screen until I've had seen them and approved them. Best wishes, Annie. I hope your problems are solved. Sorry, I meant to say "having trouble with UTI's. Got it wrong. I see you took down the post. Was something wrong with it? Anyway, thanks for the Hub. The info is great. Is there something in here about bleach, or did I just miss it? My urine has always been straw colored (except when trying to get rid of IUD's at which times it is cloudy white) and since I have been having so many troubles with that, and I sometimes get a splash-back from the toilet water which is close too the top, but I rent and have no control over what type toilet I have, I decided to leave a little bleach in the toilet water just in case. The next time I used it my urine was dark orange, almost brown. It has scared me. Is it the bleach or should I call my doctor now? Thanks for this web site. So very good! Thank you very much for the visit and the comment, Jackie. Thank you for such a lovely comment, Express10! I appreciate your kindness very much. I knew about most of the colors except for BLUE! That's came as a shock to me. Thank you for sharing this information. As always you do an absolutely excellent job. In your career as a teacher, your students are truly lucky to have you! Thank you very much, Audrey! I appreciate your visit. Thanks for the visit and the comment, peachpurple. I love tea and coffee, too, but they are both diuretics and can cause water loss from the body. Thanks for the comment, Bobby. I appreciate your visit. I hope you have a great evening, too. Hi, word55. Yes, beets are known for producing pink urine! 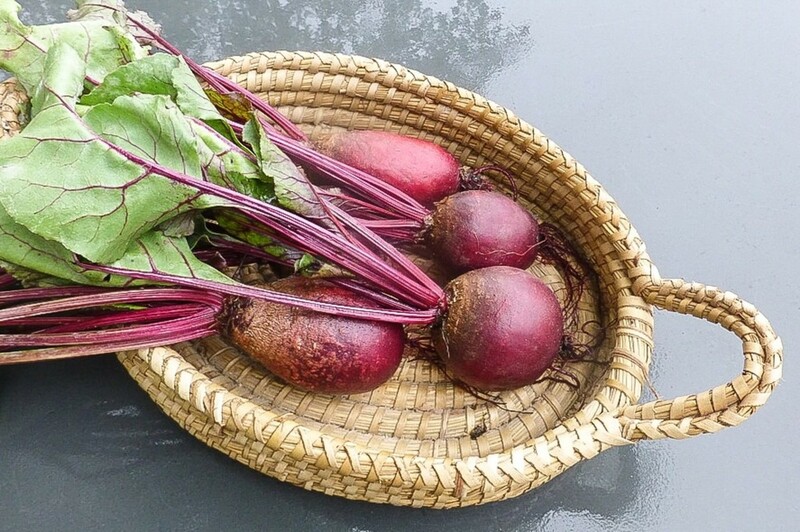 The colour should disappear once beets are no longer eaten, though. Thank you very much for the visit. Hi AliciaC, thanks for sharing such a very important subject. I will point out that when I've eaten beets the urine comes out pinkish but that seems to be normal. Looking forward to more of your health observations. Thank you very much for the comment and for sharing your experience, Nadine. I appreciate your visit. Thank you so much for this very informative article. I have a habit to drink a liter of warm water with a slice of lemon every morning before getting up. I drink this over a period of an hour while doing my social networking from my tablet. I do know that when I drink this liter too fast, ( because I have to get up) I have to run to the loo and I know the water went strait through. Now I'm ready for my coffee! Voted up! Thank you very much for the visit and the comment, Thelma. Very useful and informative hub. I thought there are only 2 colors of urine, clear and yellow. Thanks for the loads of informations. Hi, Mary. Thank you for the kind and interesting comment as well as the vote and share. I think that urine and its features are interesting topics, but I wouldn't like to taste urine! Excellent info in this article! I am a retired Lab. Tech. and the first thing we noted in our urinalysis report was the color. It is very important. Way back when, before there was a test for sugar (glucose) in the urine, the doctors would taste the urine. Can you imagine that?? Voted this UP, and shared. Thank you very much for the kind comment, the votes and the share, Catherine. I appreciate your visit! You have done an excellent job. Urine may not be the most pleasant thing to talk abut, but it can alert us to serious disease. This is very useful and helpful guide. Voted up++ and shared. Also kudos for doing this in a tasteful manner. I would advise you to talk to your doctor, Shari. He or she will be able to answer your questions and give you medical advice. That's true, Raimer Gel. Thanks for the visit. Urine color truly talks a lot about ourselves. We must keep in mind the signs that they tell us. Thanks, RJ Schwartz. I appreciate your comment very much. Great information on a topic which many of us don't usually stop to think about - organized and thorough. Thank you very much for the comment and the vote, Kristen! This is real interesting to know about the variations of urine colors and how we eat depends on it. Real informative. Voted up! Hi, peachpurple. Thanks for the comment. If your urine continues to stay dark yellow I suggest that you visit a doctor to find the reason. thanks for the hub, mine is dark yellow urine, too much sugar? Thank you very much, aesta1. Another useful and interesting hub. Will have to be more watchful now. Thank you very much for the visit and the kind comment, Suhail. Thank you for sharing a very informative hub, Linda. Since I am entering an age group where I have to be particularly aware of health issues, as well as various types of diseases, this one was great for me. I will keep this hub as my resource to always return to keep a check on my health issues. Thank you, Perspycacious. I appreciate your visit and comment very much! All but Funny, then again I might have missed it while thinking about the new learning I gained from this very informative Hub. Thanks. Thank you for the comment, Joyfulcrown. Thank you for the visit and for commenting, monia saad. Thank you very much for the comment, Elsie! I appreciate it. It is a good idea to check urine color occasionally. It can give us useful information! Thanks for a very interesting article, I learnt a lot reading it I had no idea there were so many different colors and every color was explained so well. The color of our urine is something that isn't given much thought about until we are not well, we really should take more notice of an everyday function that we can't do without. Thanks for the comment, caseymel. I appreciate your visit. Thank you for the visit and the comment, SANJAY LAKHANPAL. I appreciate the vote, too! I will remember that, " Drinking too much water can be dangerous, since it dilutes essential electrolytes inside the body. Thanks for sharing the helpful information in the hub. Voted up. Thank you very much, Venkatachari M.
Very useful and interesting article. A great work with much knowledge. Thanks for the comment, grosiramazonplus. Thank you very much, Peggy! That's so kind of you. I appreciate all the shares! Came back to say that I will tweet, G+ and pin this hub to my health board and share with HP followers. Good information! Thank you very much, ChitrangadaSharan! I appreciate your comment, vote and share. Very useful and elaborate information about Urine color and its significance. Long long ago, when there were no pathological tests available, the color of urine helped the physicians to diagnose the illness. Well presented and well researched hub. Voted up and shared on HP! Thank you very much for the comment, techygran. Urine color is an interesting topic! It can also be an important one in relation to health. Fascinating hub Linda! I had no idea about the vast array of colours that are available to human urine. And I didn't know about diabetes insipidus either... so thank you for the education! Hi, raymondphilippe. Yes, HubPages is an interesting place! Thanks for the comment and the vote. The things we can learn through hubpages. Fascinating. Very interesting read. Voted up. Hi, Harishprasad. Thank you very much for such a kind comment! I appreciate your visit and your vote. Hi, Linda. How informative this hub is ! An innocuous looking urine changes color and tells a lot. You have contained so much interesting stuff in this hub that I remained glued to it till the last word. Well-written and very useful. Voted up. Hi again, nutritionalcoupon. Perhaps you didn't notice my previous reply. I don't know what type of information you are looking for, but you should find a library or a doctor very helpful. Hi, nutritionalcoupon. If you would like more information about this topic, a library might be useful. If you want more information in relation to a health problem that you have, your doctor should be able to give it to you. I am MH. from Pakistan. please guide me more information about this topic? Hi, Tanvir. Urine is normally straw-colored. If you have any concerns about the color of your urine, though, you should visit a doctor. Thank you very much for the comment, Rebecca! I appreciate it. Very interesting and informing! I didn't know certain foods like beets or asparagus could affect the color of urine. Well written and presented! Thank you for the visit and the comment, Ilona1. Lots of interesting information, good to be aware of. Thanks for the comment, Nellieanna. Congratulations on being so healthy! I like the sound of the daily lemon juice. It would certainly be helpful for individuals and for society if disease prevention was emphasized more strongly. How interesting to read the specific 'tracks' of various urine colors and how they relate to specific health issues. Happily, I'm disgustingly healthy and normal, but knowing the symptoms and possible complications is very useful. I've had a habit of drinking the juice of a half or a quarter of a fresh lemon in warm water every morning before anything else, which I believe has helped my kidneys work well. I've never had any problems with them and generally, very few health issues, especially for someone my age - which just became 82. I'm very thankful for it. I like your separation of the terms 'health' and 'disease'. It sometimes seems they become confused in people's minds. "Health Care" seems related to health and it would be good if more of it were dedicated to preventing disease. Thanks for the visit and the comment, sri ramana. Thanks for the comment, blueheron. I'm glad that your daughter's problem is solved! Thanks for a wonderfully informative hub! You've solved a mystery that has been plaguing us: My daughter started taking a vitamin supplement, but was horrified that it turned her urine a florescent yellow. Now we know it was the B2 in the supplement! Thank you very much for the comment, Theresa. I'm glad that you found the hub helpful! Thanks for the lovely comment, word55! It's nice to meet you. I'm a biology teacher, not a doctor or nurse. I think that biology is a fascinating topic and I love to explore it. This was very informative. Good to know. You must be a doctor, nurse or supper good researcher. Voted up! Thank you very much for the comment and the votes, Gail! I appreciate your visit. What an informative and well written hub! I had no idea urine could turn so many colors for such a variety of reasons. I must say if I noticed blue, black or red urine my first response would likely be alarm. Thanks for the information. Voted up and useful.